Year 20xx, an action heroine warring states period. 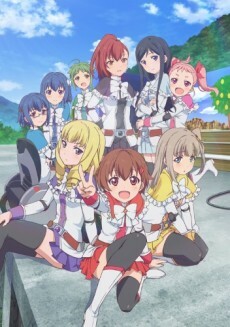 The action heroine trend had started with a small festival, creating a "local heroine fighter" themed after the local area. The action charmed the audience and led to the project gaining huge popularity. A local heroine boom took off, many municipalities began producing stage shows for the hometown heroines, and a rivalry developed between them. The heroine shows vying for popularity began to appear on a nationally popular ranking program broadcast nationwide. The action heroines aspire to earn the love of everyone.